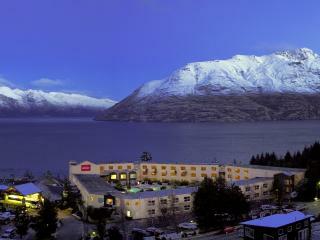 One of the world's most scenic locations, Queenstown offers a fantastic range of luxurious modern accommodation options surrounded by a stunning alpine region and some of New Zealand's most famous adventure activities including jet boating, bungy jumping, white water rafting and more. This small town is set within the Cardrona Valley & alongside a small river which was originally home to the small gold rush town back in the 1860’s. Cardrona can be easily accessed in under an hour’s drive via the scenic Crown Range Road from Queenstown & Wanaka. The main attraction in Cardona is the ski field which boasts 345 hectares of ski terrain & is open from June to October. 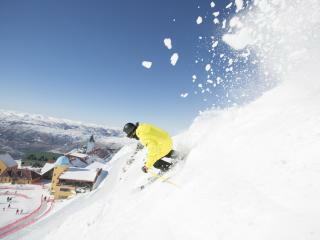 Accommodation in Cardrona is made up of small B&B’s plus on mountain accommodation. Beautiful 19th Century architecture mark Dunedin's, grand English history and these buildings make for an interesting contrast with the city's modern art, culture, theatre and dining. Accommodation features this beautiful historic style and enjoys an abundance of wildlife rarely seen so close to the city. Famous as the world’s first lifestyle reserve, Wanaka is situated behind the Southern Alps and offers spectacular views no matter where you choose to stay. Offering warm hospitality, accommodation is close to a variety of shopping and dining options and promises friendly service and handy local knowledge. Wanaka accommodation features quaint little B&Bs, luxury lodges, affordable motels, family-friendly options, modern hotels and boutique stays. Located on the southeast coast of the South Island, Oamaru is known for its stunning natural beauty, famous penguin population and 19th century architecture. Offering easy access to the city and surrounds, accommodation is conveniently close shopping, dining, activities and attractions and ranges from 3 stars to 5 stars. 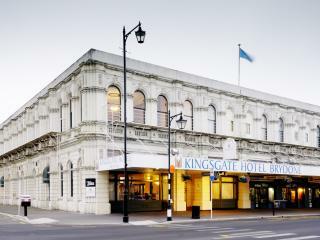 Oamaru accommodation offers everything from harbourside resorts to comfortable motels, self-contained apartments, luxury lodges, modern hotels, boutique properties and charming bed and breakfasts.